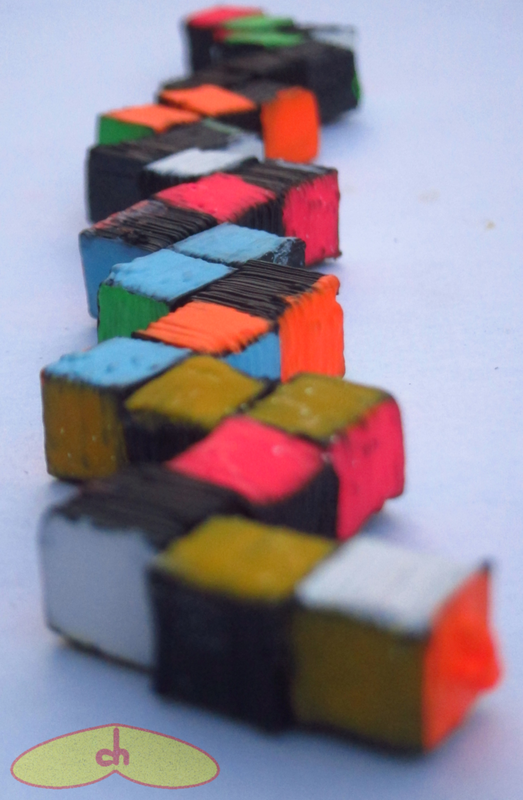 After my printable Rubik’s cubes, I’d been planning to design and print a snake cube – a puzzle which is basically a string of cubes that when solved form a bigger cube. Before I could design it though, epideath uploaded his own design to Thngiverse, saving me the trouble. 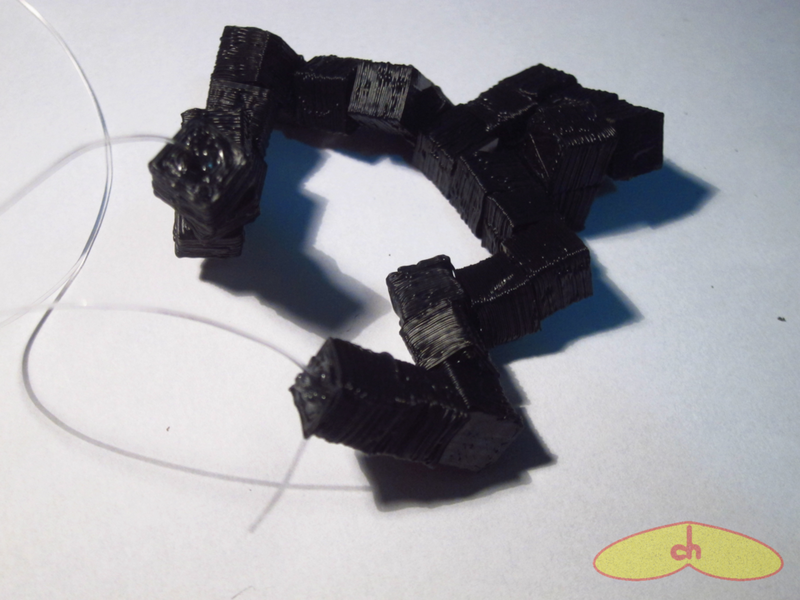 But when I started printing it, due to the details in the design I couldn’t print it well using my Cupcake CNC. So I designed my own anyways. As usual, I used OpenSCAD. The code is very simple, I just made hollow cubes and added holes to their faces. The code is parametric, so you can easily change the size of the cubes, the thickness of their walls and the radius of the holes. 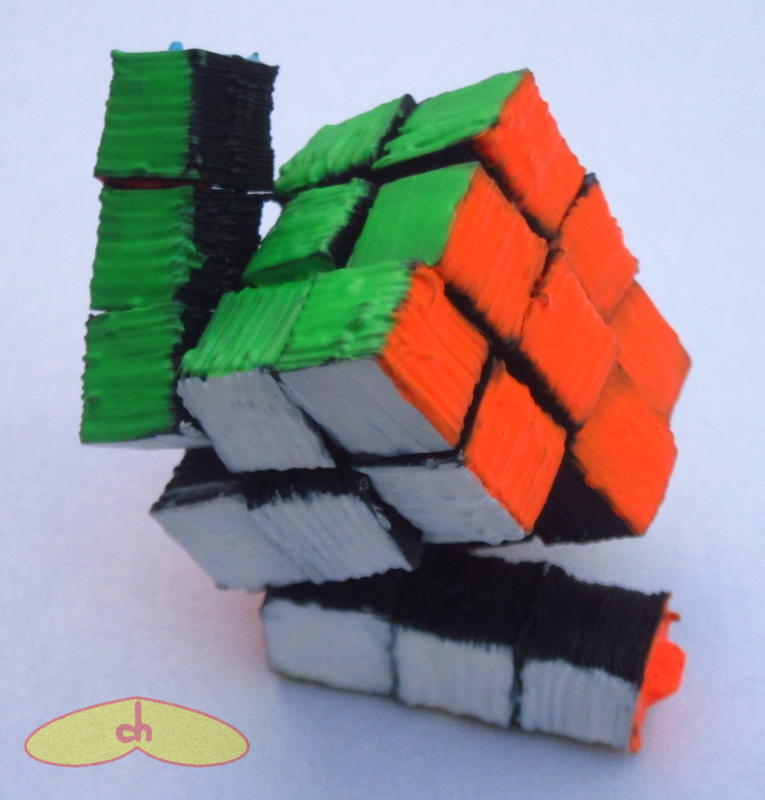 The most popular version of this puzzle is the 3x3x3 cube, and 4x4x4 versions can also be easily found. 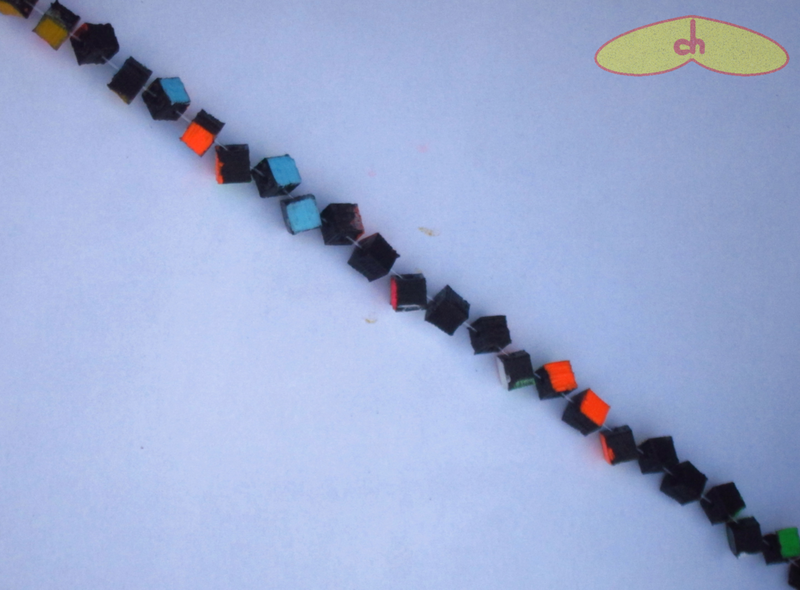 Each puzzle has 3 types of pieces, I cubes, L cubes and end cubes, as shown in the schematics. 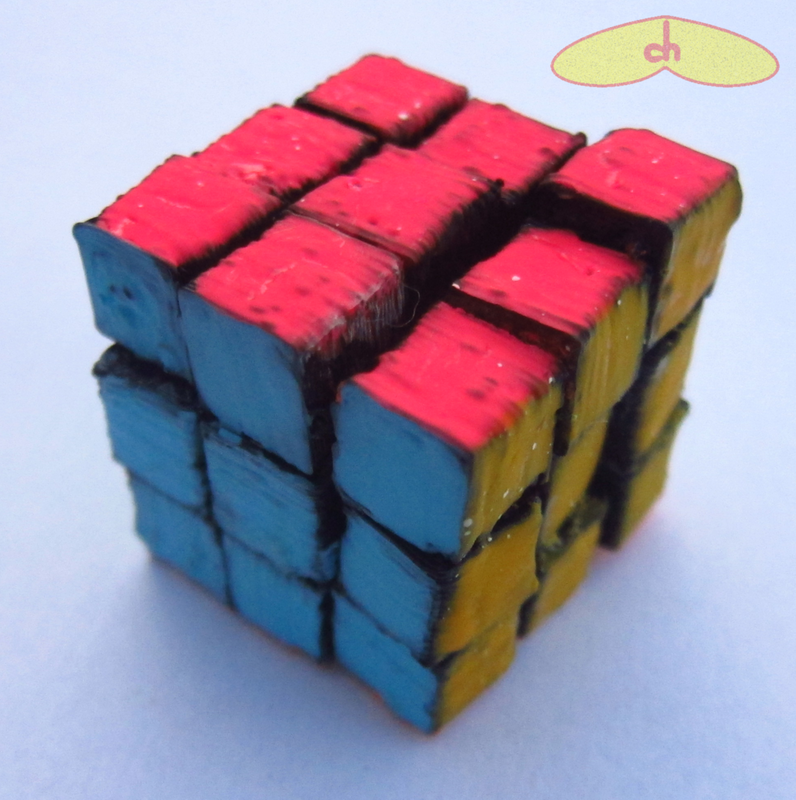 For the 3x3x3 version, you have to print 2 ends, 9 Is and 16 Ls, while the 4x4x4 version needs 2 ends, 17 Is and 45 Ls. The files can be downloaded from here. 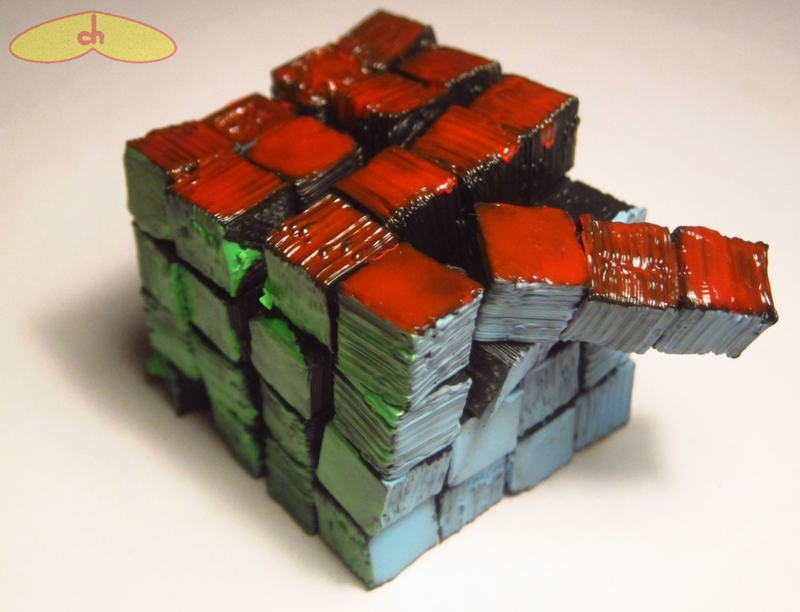 I printed a mini snake cube with each cubie measuring 10x10x10mm. For the string I used a strong and stretchy poliurethan string. Assembling it took a look of effort, since the holes are tiny as you can see in the pictures. 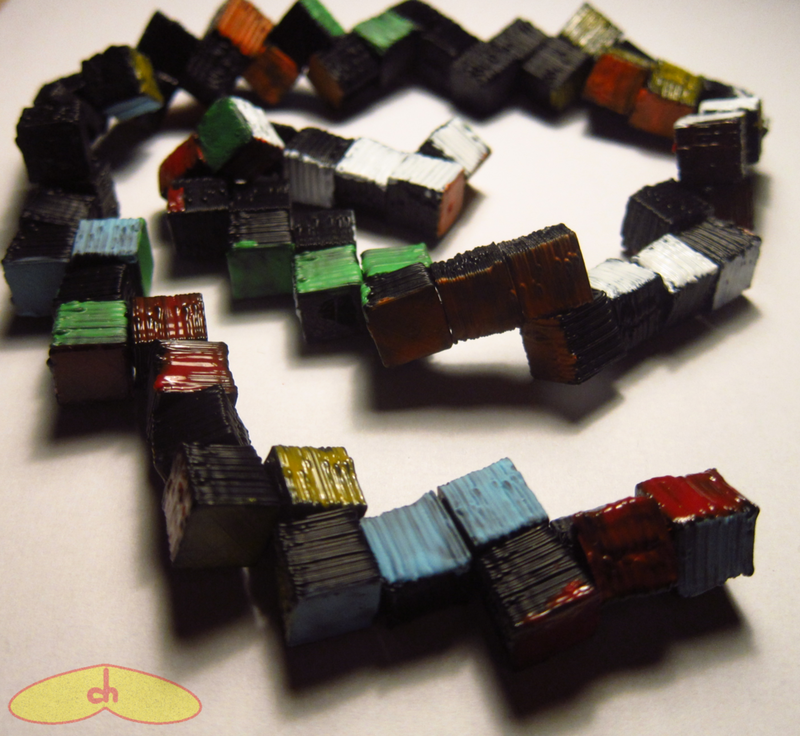 I used a paper clip to help me pass the string through the cubes, especially the L ones. 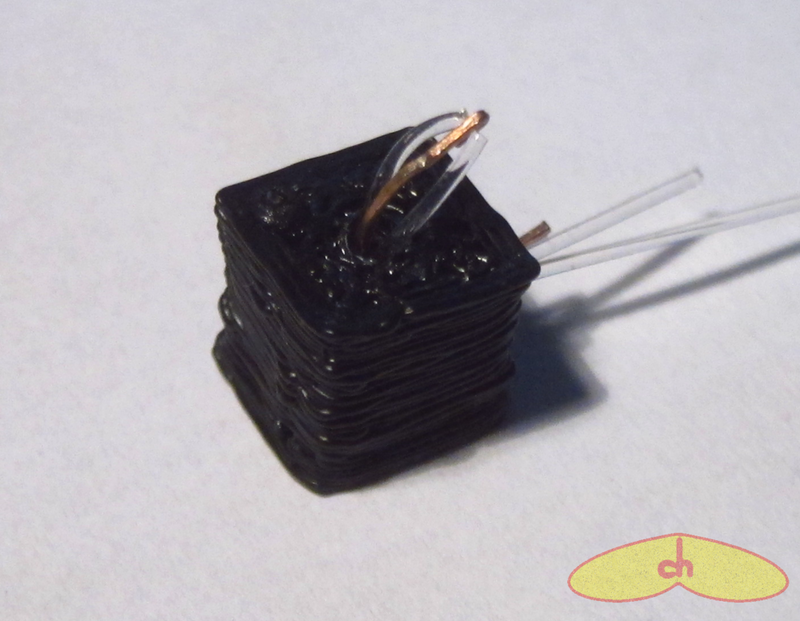 My printer oozes a lot, so right after printing each cube I poked the holes with a small screw driver to take clean them up while the plastic was still soft. These puzzles traditionally come in a dark/bright pattern like a chessboard, to do that, you just print pieces in two different collors according to the scheme above. At the moment all I have is black plastic though, so I decided to try something different. 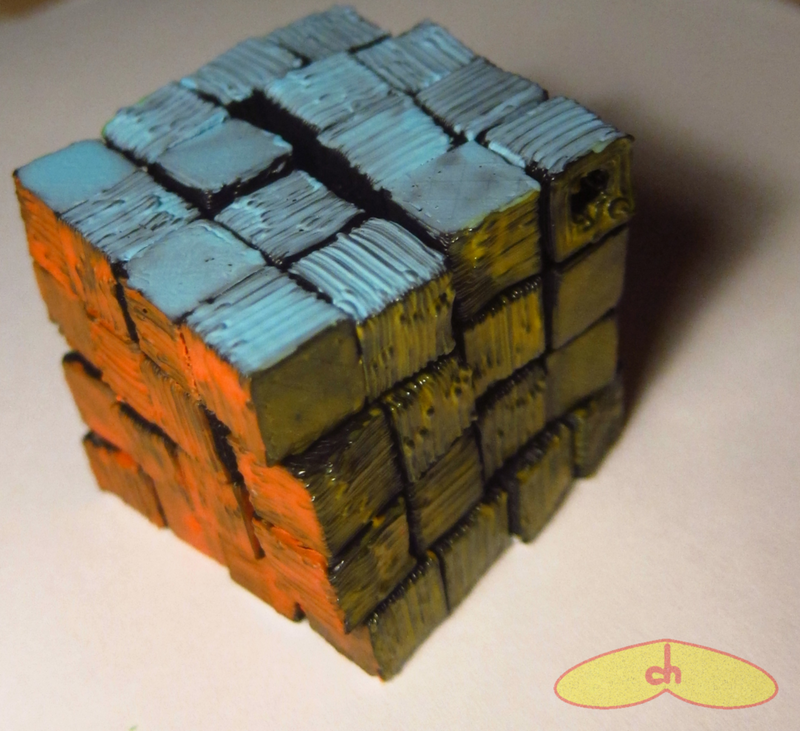 With the cube assembled, I painted each of its sides as if it were a Rubik’s cube. 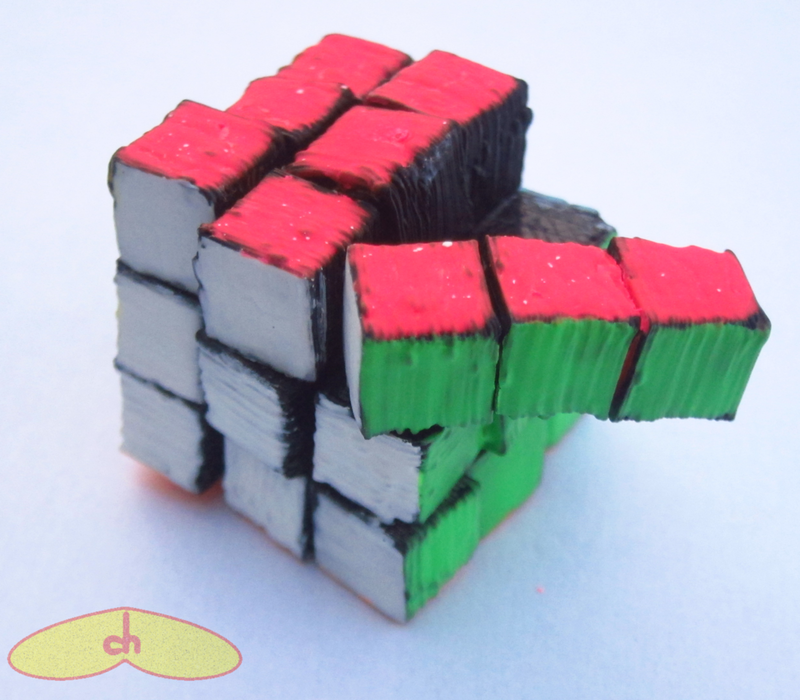 This makes it easier to solve (not that it is usually hard) and tricks people when they see a Rubik’s cube falling apart in their hands.